“Here is the scenario: You have a great opportunity to boost your income by introducing your rental property to the real estate market. The research is done, the investments are made, and now a vacancy is primed for amazing tenants to make it their new home. The problem you now face is, how do you find these amazing tenants? With such a broad span of ages regarding potential tenants, there should be an equally diverse range of methods to attract them to your vacant property. This is not the old game of telephone you played as a kid, where you give someone information, they pass it along to someone else, and you hope it returns to you the way you intended. Today, leveraging technology can turn anyone’s voice into the most effective megaphone you can imagine. Some of the most trustworthy tenants can come from those you know. Tell everyone you can about your vacancy through every channel at your disposal. Check your phone contacts and text people that might know a potential applicant. Use every social media network you have at your disposal. Post the rental advertisement on Facebook, Twitter, Instagram, etc. Be sure to include photos! Incorporate your vacant rental property into small talk conversations as you go about daily activities. A simple “. . . my day has been going well, I’ve been looking to fill a vacant rental. . .” can open the door to find your new renter. With any method you use do not forget the old adage, “a picture is worth a thousand words.” Keep multiple photos of your rental property on your cell phone and share the photos any time you promote the vacancy online. Is your vacant property close to schools, malls, business parks or other areas of interest in the city? Look at this information and use it to your advantage to find some high-quality applicants. If a college is in the vicinity, post flyers on campus and highlight features of the house that might be attractive to renters who may not have much experience living on their own. Do not just consider advertising in locations close to shopping, as a perk to consumers. Anywhere with a large number of businesses have employees who likely would be excited to have a short commute. Begin by educating yourself on jurisdictional rental laws. These can be found by doing a search online and referencing a state’s government (.gov) guide and the city website. For example, California released an online guide to outline the responsibilities of landlords and tenants. Once you know the essentials of what is legal and illegal when renting a property, the next step should be writing a set of criteria to be consistently applied with each applicant. This should be a ‘go-to’ document that can be easily read by applicants to know whether they are qualified before they request your time to view a property. Common elements of these criteria include: A base credit score for acceptance; status of rental history (prior evictions, poor payment habits, etc. ); minimum, provable income per month; and specific criminal convictions that will result in a denial. Make sure policies you create are compliant with federal regulations, set forth by the Fair Housing Act and also state and city regulations. Many of these requirements ensure no discrimination takes place during the application process –both intentional and unintentional. When a clear, concise and legally permissible rental policy is available for applicants, they can decide before they apply whether your vacancy is a viable option. This alone not only protects you, but will help bring in more qualified applicants to view your rental property. It is in our nature as people and within our society to know and trust people. This is a good thing, but when it comes to renting a property it can pose some potential problems. The ‘interview’ stage of filling a vacancy is based on perception and opinion by the renting agent. This type of subjective reasoning can get the best of us in trouble and even eliminate the greatest potential tenants. If an applicant has found your property, they know your rental policy, and they are still interested in it; the next step is to use methods that can keep all applicants on a level playing field. The most common of these is performing a background check that will provide the same type of nonbiased searches on all applicants. These checks will provide objective information that can be backed by credible data so the decision does not fall on any kind of ‘gut instinct’ that can lead to an applicant feeling they were discriminated against. This is the time when many sections of your rental policy can be checked off to ensure the applicant is a good fit for the property. From Bob Phillips: I have been helping my landlord clients get their rental properties successfully leased for almost 4 decades. I have the resources to thoroughly screen prospective tenants, and have an outstanding record of successful tenancies. If you’re about to rent a property you own, give me a call, and let’s discuss the possibilities. Thinking About Buying Rental Properties? While housing is still very affordable in many areas of the country, it seems like a good time to purchase real estate as an investment — that is, to own rental property. Should the average American consider this as a legitimate means to grow their financial portfolio? In a word, yes. 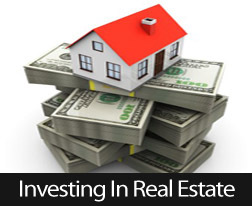 Even during the housing recession you heard the experts maintaining that real estate was still a valuable investment. There are many reasons to take the plunge and invest in rental properties. Here are a few. that property you purchase now will cost more in the future. As the market continues to recover, your investment should appreciate steadily. Your expenses are offset in several ways. 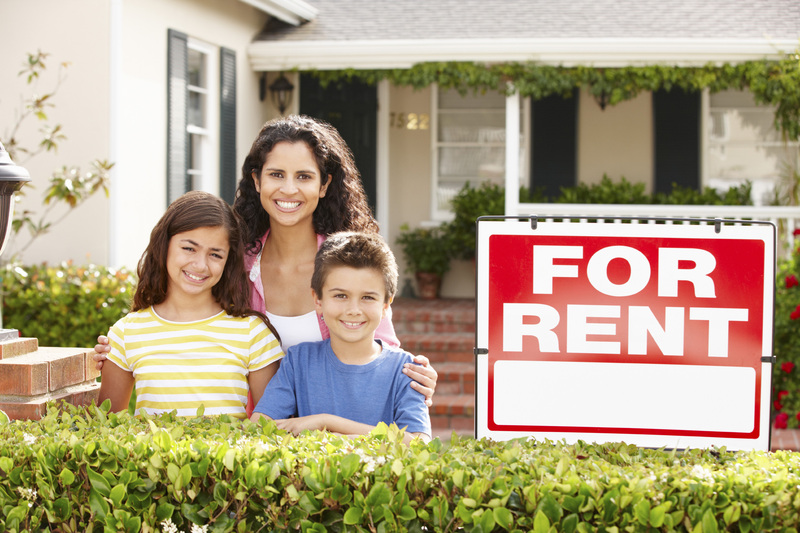 By buying a property and renting it out, your tenants will be covering a large portion of the costs you incur. Over time, rents will increase as you pay off the mortgage, leaving more income as profit. In addition, you’ll benefit from tax breaks and incentives* on depreciation and expenses. Appreciation works in your favor. Your investment will be appreciating on the entire value of the property. If you put 25% down on a $400,000 property, you may be paying 4.5% interest on the 75% you borrow, but a 3% appreciation on the value of the property is on the entire $400,000, not just the $100,000 you put down. Compare that to your return on an investment in the stock market. Diversity in your investment portfolio is a good idea. See above. And remember that by spreading out your investments, you’re more likely to reap the benefits of a changing economy. You can invest in your retirement. If your $400,000 investment appreciates 3% per year for the next 20 years, just think of what you can do with the money when you sell the property upon your retirement. Or perhaps you bought a property you would want to retire to. It’s true that being a landlord can be stressful for many people. However, the benefits of investing in property usually outweigh the negatives for most landlords. I am always available to review your goals and to help you determine the strategy and options that can benefit you the most. In addition, I’m also experienced with the management of rental properties and am available to relieve you of that chore. Call, text, ( 949-887-5305 ) or email me ( BobPhillipsRE@gmail.com ) today to start to explore the possibilities. *I am not a tax advisory expert. The information contained in this article is for informational purposes only and may not reflect current tax year rules and regulations. Consult your tax advisor or the IRS for current tax year rules, restrictions and regulations. Comments Off on Thinking About Buying Rental Properties? 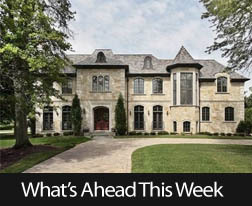 “While California’s real estate market has remained flat throughout the year, recent changes have revealed that things may be making a turn for the best. In addition to September’s jump in sales, a new study has found that foreclosures across California have hit their lowest mark in over eight years – the latest sign that our economy is finally catching up with the housing market. From MY vantage point, it looks as though this quarter is turning out to be a fairly “normal” one for Southern Orange County. The type that frequently leads to a more robust Spring home buying season – which in this area usually starts between the last week of January, and February 15th. If you are thinking of BUYING your next home anytime soon, there are two things to consider right now – today. First, there aren’t going to be many foreclosure houses to look for – less than 2% of available houses – and second, you’ll have much better negotiability on regular, non-distressed properties before that Spring buying season begins. Give me a call – at (949) 887-5305 – or shoot me an email – to BobPhillipsRE@gmail.com – and let’s talk about your real estate goals. Last week’s housing related news was lean, with no scheduled reports released other than Freddie Mac’s primary mortgage market survey. Freddie Mac reported a one-basis point drop in the average rate for 30-year fixed rate mortgage from 4.02 percent to 4.01 percent; the average rate for a 15-year fixed rate mortgage also fell by one basis point to 3.20 percent. 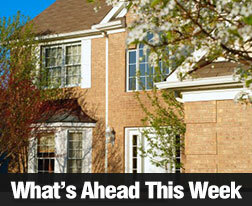 The average rate for a 5/1 adjustable rate mortgage rose by 5 basis points to 3.02 percent. Discount points for all three loan types held steady at an average of 0.50 percent. Weekly jobless claims rose by 12,000 to 290,000 against expectations of 280,000 new jobless claims filed and the prior week’s reading of 278,000. Last week’s report was the ninth straight week that new jobless claims came in under 300,000. The reading for the four-week rolling average was 285,000 new jobless claims, which represented an increase of 6,000 new claims. This week’s number of scheduled economic reports will be more robust. The NAHB Housing Market Index, Housing Starts and the National Association of REALTORS® Existing Home Sales reports will be released. The minutes of the most recent Federal Open Market Committee (FOMC) meeting of the Federal Reserve will also be released along with weekly mortgage rates and jobless claims data.